THE brother of a teenager shot and killed during the 1971 Ballymurphy Massacre says he’s disgusted by an insult to victims of the Parachute Regiment flaunted by Linfield supporters at Windsor Park. 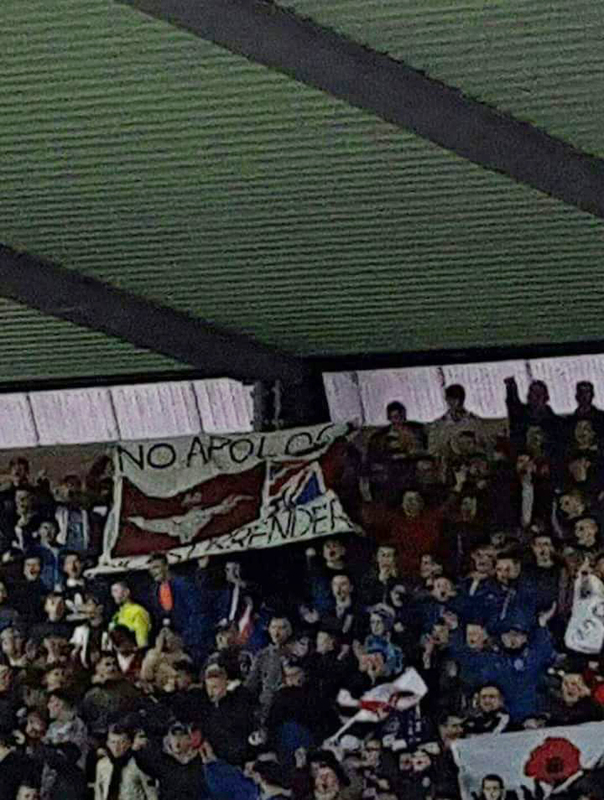 Pat Quinn attended Saturday’s crunch Linfield v Cliftonville game at Windsor where a flag was flown displaying a Para crest and a union flag alongside the words ‘No Apology No Surrender’. Pat contacted the Andersonstown News after Saturday’s game. He described those holding the flag in the Windsor South Stand as “so-called Blues fans” and he called on the IFA to “get its act together” and take a tougher stance on blatant sectarian emblems in football grounds. The insult was deeply personal to Pat as his 19-year-old brother Frank lost his life along with 10 others in the Ballymurphy Massacre. “I will never forget my brother,” he said. “But basically someone went out of their way to make this flag. It wouldn’t be allowed at any other sporting ground in the world. The stewards just turned a blind eye on Saturday. A Linfield FC spokesman said yesterday that the club would not be commenting on the matter as it had not been brought to their attention during the match.